Hashtags have taken over the social media sphere. If you’re one of the billions of individuals who utilizes social media, you know just how prevalent hashtagging has become in online interaction. I have even heard people uttering the word “hashtag” before exclaiming an adjective or a noun. We have found ourselves in a hashtag sphere of influence. Online content can benefit from properly executed hashtags. You are able to attract scores of views and content interactions with a couple of clever little hashtags following a content submission. The vegan burger you bought just now could totally make a great addition to your social media photo album. Yes, adding a hashtag or two to the submission can create an influx of additional ‘likes’ and ‘shares’. Content engagement and building a solid follower base is the name of the game. There are some nuances to the art of hashtagging that perhaps you weren’t aware of before. We are here to help clear the air in regards to hashtags and bolster your social media approach. What is a hashtag? – The hashtag (#) or the ‘pound’ sign helps categorize posts. 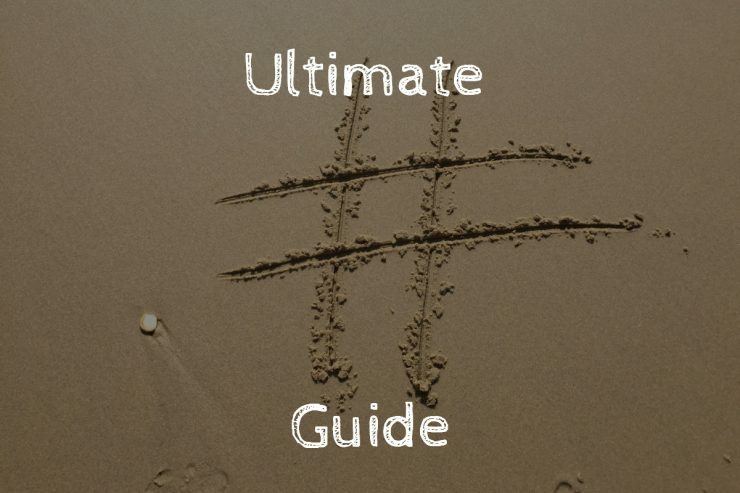 By incorporating relevant hashtags you’re able to guide users to your posts. This is especially prevalent on social media platforms. Users are able to search for content that correlates to a specific hashtag. Think of it as a filter function for anyone searching for content. Can I create my own hashtag? – You are able to create any hashtag you want. The creation process is simple. Think of a word or a phrase that relates to your social media post and just add “#” symbol before it – with no spaces. Encourage your followers to use your hashtag in order to improve visibility and content engagement. Am I able to use multiple words for a hashtag? – Of course you can use a combination of words for your hashtags. One thing to take note is that you should avoid spaces when combining multiple words in a single hashtag. Adding spaces between words will end the hashtag. For example – ‘#pieday‘ will work, ‘#pie day‘ would not work. In the second example, only the word ‘pie’ would be hashtagged. Could I use more than one hashtag in a single post? – You can use more than one hashtag when creating social media posts. Effectiveness of using multiple hashtags will vary depending on the content you post and what social media platform you’re posting on. I will go into more detail about this later in the article. Social media accounts that are set to private won’t be able to reap all the benefits that hashtags offer. If you account is set to private, the content you post with a corresponding hashtag won’t be seen outside of your follower base. If you’re trying to engage and attract a new audience, privacy settings can work against you in this regard. Skip the punctuation when adding hashtags. Apart from ‘#’ don’t use any other symbols or spaces. Adding spaces or other punctuation to your hashtag will void the hashtag you have created. Proofread and double-check your spelling. Making a simple grammatical error in your hashtag can kill any chances to attract valuable attention. Since Twitter pioneered hashtagging, it only makes sense that I start with this social media platform first. Hashtags are an important aspect of Twitter. Including hashtags within your tweets allows them to be categorized. With the use of the Twitter search function, you can look up tweets containing select hashtags or keywords. 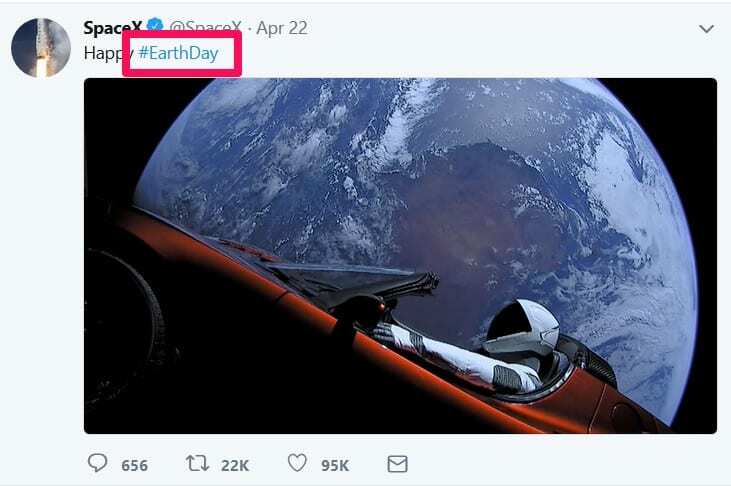 #Earthday is an example of a relevant hashtag for a specific day. Any hashtag you include in your tweet, or hashtags included in tweets someone else wrote are clickable. Clicking a hashtag found within a tweet will take you to a list of popular posts that contain the selected hashtag. This helps users discover new and relevant content on the platform. Twitter has a strict character count. Hashtags you use count against the allotted character limit. Including a hashtag in tweets can double user engagement. Don’t go overboard with hashtags. Stick to only 1 or 2 hashtags – using more than 2 hashtags can reduce user engagement by 17%. Trending hashtags can mean increase in tweet engagement. If you notice trending hashtags that are relevant to you post, you may wish to include them. Instagram is a social media platform that is aimed at hosting and sharing visual content – pictures and short videos. The hashtag is the primary means of categorizing content you upload on the platform. For those of you who enjoy hashtagging content, you’re in luck. Instagram allows users to add up to 30 hashtags in the image/video description box. That is more than any other social media platform out there. You have a lot of room to play and implement creative hashtags within the content captions on Instagram. With a well thought out hashtag, you are able to promote unity within the community and relate with the masses. Take the example bellow. 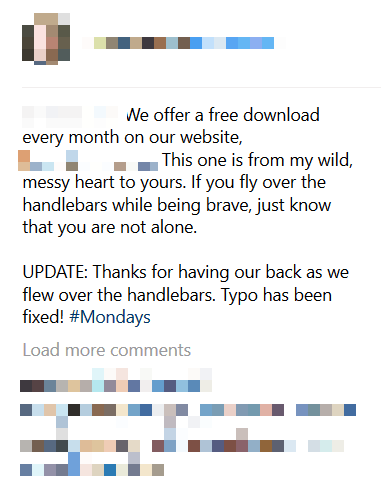 This individual created a typo within the post and attributed the cause of it to being a Monday – #Mondays. Winding down from a weekend of fun, Monday may lead to some less-than-ideal situations. Content creators looking to attract a specific audience rely on the hashtag to hone in on specific user base. Whatever you’re advertising or promoting, chances are you can find and incorporate suitable hashtags which will attract quality attention and spur engagement. Basketball related hashtags aimed at attracting a specific sport enthusiast. #sneakerheads, #babyontheway, #traveladdict are examples of some potential hashtags that are specific and lure people in who know what they are looking for. This is especially crucial for social media marketers who’s focus is on a particular demographic rather than the entire user base. With hashtag free rein on Instagram, it can sometimes be easy to get carried away. Gimmicky hashtags such as #likeforlikes can be tempting to use due to their popularity but refrain from doing so. It may lead to an few extra likes, but it won’t lead to a growth of quality following that is engaged in conversation. Not to mention it comes off as unauthentic and spammy to your already existing fan base. Another thing to be weary of is combining multiple words in a single hashtag. This advice is situational, but it can often be more beneficial if you break down a single hashtag containing multiple words. Not even Facebook was able to avoid the hashtag hype train. In 2013 Facebook rolled out the hashtag feature on the platform creating a more intertwined networking experience. Like with many of the previously mentioned social media platforms, hashtags on Facebook also categorize the comments and posts users create. 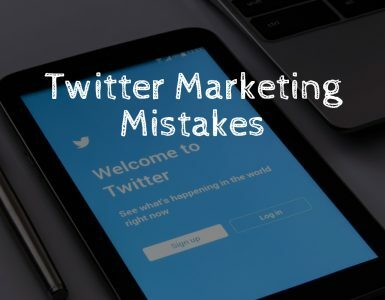 Since hashtags have been proven to work on social media platforms such as Twitter and Instagram, Facebook managed to effectively implement them on its platform. It was a great success and users have adapted to the change. Become part of a bigger conversation by using a hashtag or two on your posts. Voice your opinion or share a post promoting a product by adding relevant hashtags at the end of Facebook posts. It will become highlighted and clickable. When clicking on a hashtag, you will be taken to to the larger conversation that is taking place in the Facebook community. To search for a specific hashtag, just put a # before the topic you’re searching. To demonstrate an example of the “#” search function, I typed in #food in the Facebooks search bar. I opened up a Pandara’s box of food related content that can be found on Facebook. You can do that with any hashtag and see what you come to discover. Through this, others have an easier time of discovering you too! #Food for example brings you to the forefront of food related Facebook content. One thing to keep in mind is that you shouldn’t use hashtags as liberally as you would for example on Instagram. Stick to one, perhaps two hashtags. Any more than that and you’re promotional efforts will lose effectiveness. Don’t include hashtags in every post you create. Save those bad boys for the occasion when you’re trying to drive more awareness to a subject or have an important announcement. 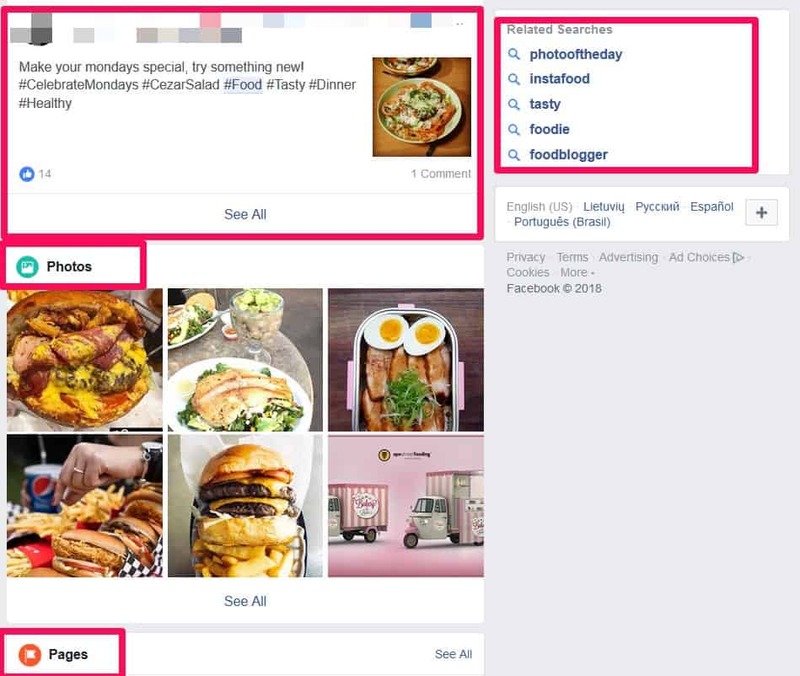 Trending tags can offer even more traction to your posts. A hashtag that is trending is popular now – people are listening and tuning in for the conversation. Check them out and see if they relate to your content in anyway, if so, drop it in at the end of your post. Trending tags taper down in popularity after a day or two so don’t count on them to be effective for too long. Google has launched a social media platform for users to connect and network on the web. Much like the previously mentioned platforms, it too has incorporated the ‘hashtag’ as means of getting users to engage in common conversation. The hashtag you use should be a relevant keyword that’s appropriate to your content or the business you operate. It will end up playing a big part in your SEO efforts too. The hashtag should be relevant to the post you’re creating and the content you’re promoting. It will help users who utilize the Google search function to find you on the web. Incorporate at least one hashtag in your post but don’t go over-utilize the hashtags here. Being too generous with your hashtagging can work adversely and damage your promotional effectiveness. Google+ can suggest some relevant hashtags for you to implement. Don’t hesitate to take into consideration the hashtag options Google offers you. Including a hashtag in your LinkedIn content is critical if you want to users to engage with your content here. You will become part of the bigger conversation even when users aren’t connected with you personally. Let’s face it, it’s impossible to be ‘connected’ with everyone on this platform. 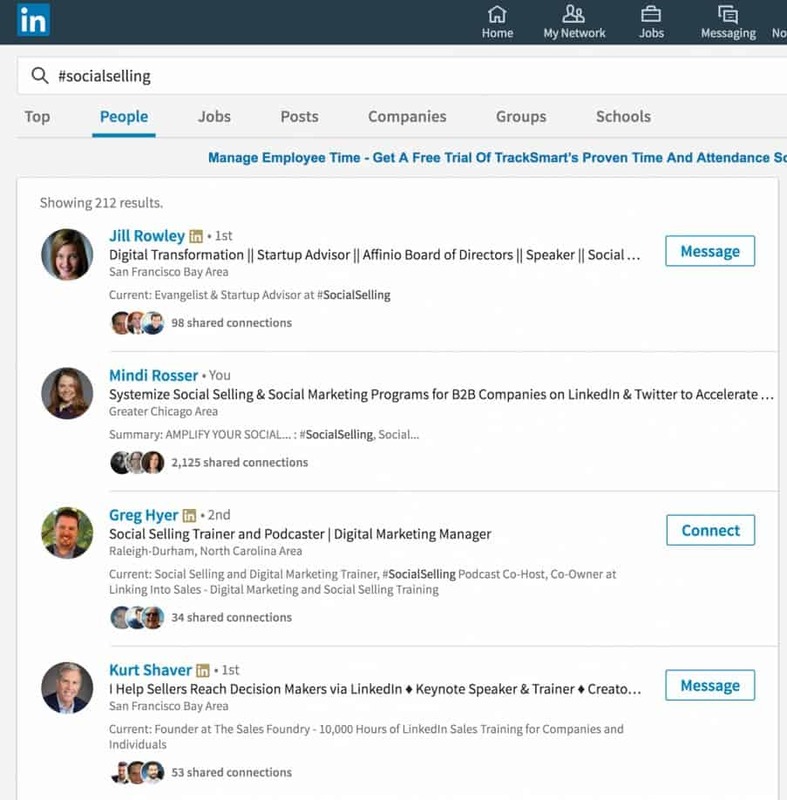 Hashtagging is a blanket solution that can engage a large portion of LinkedIn users. Promoting a brand, promoting yourself, or finding like-minded individuals with the use of a hashtag is simple and quick. There is a search function available that you can use to find hashtags that are applicable to you or your business. Others can use the search bar to do the same and find you and your posts. Hashtags on LinkedIn make valuable connections and discoveries easier. 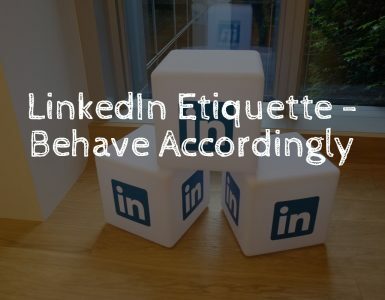 LinkedIn is a professional social media platform. Incorporate specific and industry-specific hashtags. It will allow you to hone in on specific individuals or companies with which your message will resonate. Don’t include the hashtag in the “meat” of the content. Drop a hashtag at the end of your post. Doing so you avoid creating distractions that deter the attention of the reader from the information that you are sharing. Injecting hashtags into your social media marketing strategy is highly recommended. If you haven’t already done so, start utilizing them to get additional engagement and encourage user conversation. Social media is all about networking, fostering new relationships and cementing old ones. While it may be easy to find common interests in your own circle of friends, hashtags invite new opinions and brings attention to you. 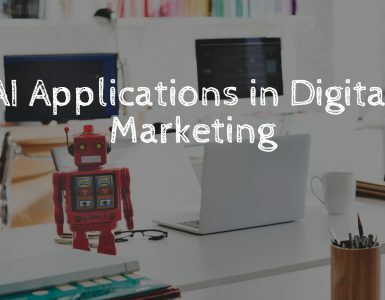 Digital marketers love that and I have a hunch that you will too. Mindaugas is one of EvergreenFeed's content wizards. He enjoys a real 16oz cup of coffee with his social media and content news in the morning.